We are proud to have recently completed a marketing package for a brand new orthodontist getting started in Springfield MO. Love Orthodontics now has a logo, business cards, letterhead and of course a new website which is fully built out with extensive information on the various services that they offer. We are very pleased to have Dr Grewal as part of our marketing family. Dr Grewal has is building a brand new practice and of course a strong visual logo, a great slogan and an attractive website are an important part of this effort. Our efforts have also included a marketing campaign that we have just kicked off that centers on a strong google adwords campaign to capture people in a 10 mile radius who are searching for orthodontics, braces or invisalign. 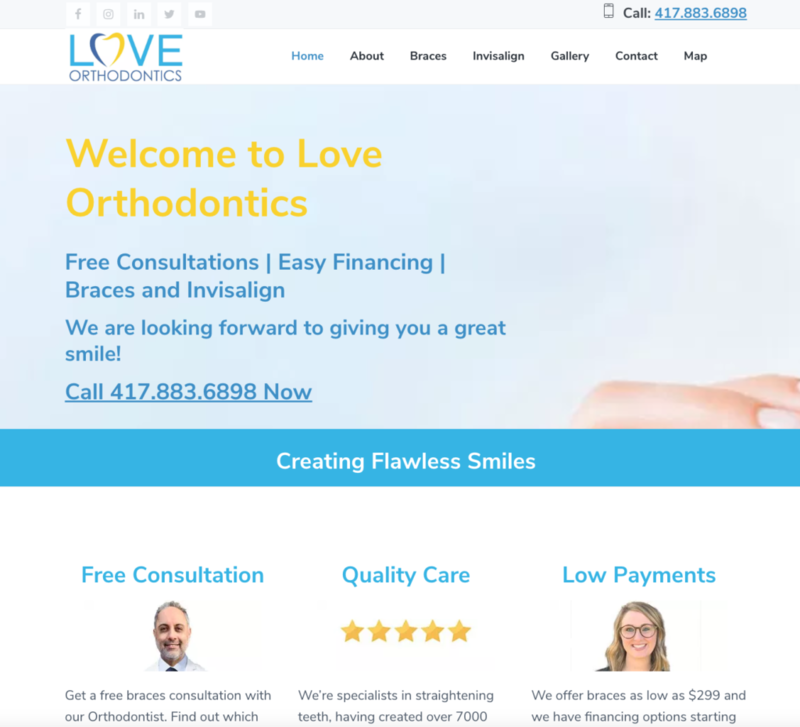 We have found Google adwords to be an effective front line of new patient marketing and are delighted to offer this service to the Love Orthodontics team.